The Chinese hamster (Cricetulus griseus) ovary (CHO) cell line was first isolated by Puck (J. Exp. Med. 1958; 108: 259-271) more than 50 years ago. 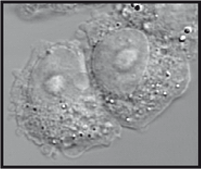 Currently, CHO cells are the most important cell line for production of biopharmaceuticals. The 2012 CHO-produced biopharmaceutical sales totaled nearly US$ 65 billion, more than half the 2012 biopharmaceutical sales total of US$ 125 billion (La Merie Publishing. "R&D Pipeline News." PipelineReview.com. 7 May 2013.). CHO cells offer tremendous promise for production of vaccines as well as in their ongoing critical role as a transfection host for understanding gene function. Despite the scientific and economic importance of this cell line, there is no publicly available genome sequence information for CHO cells. Based on an open source model, the mission of the CHOgenome.org User Group is to share genome-scale information on Chinese Hamster Ovary cells to the international scientific community. This website, currently hosted at the University of Delaware, is dedicated to hosting data and resources to support the international community working with CHO cells. We are building the infrastructure to support genome sequencing activities through an international not-for-profit community-based effort. What is planned for CHOgenome.org? Kremkow BG, Baik JY, MacDonald ML, and Lee KH. "CHOgenome.org 2.0: Genome resources and website updates." Biotechnol J (2015) 10, 931-938. Chinese hamster genome database. http://www.chogenome.org (date of download or visit). The data and information released by CHOgenome.org are provided "as is" and may contain errors and be incomplete. Data and information are provided without warranty of any kind, including without limitation, warranties of merchantability, fitness for a particular purpose, and non-infringement. Any reproduction or use for commercial purpose is prohibited without the prior written permission of the CHOgenome.org User Group.